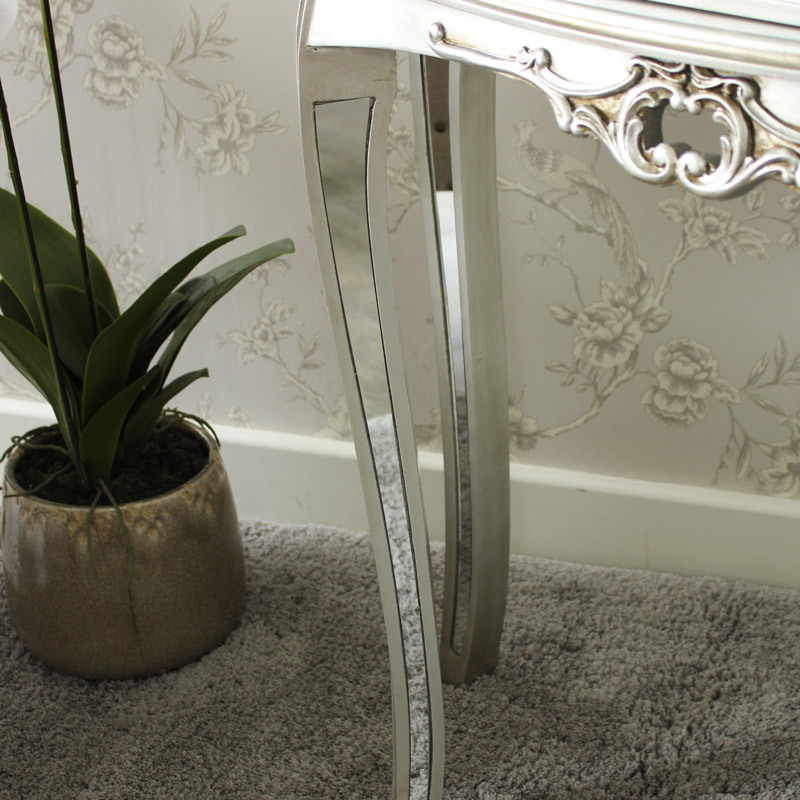 This console table is part of our beautifully ornate Tiffany Range. 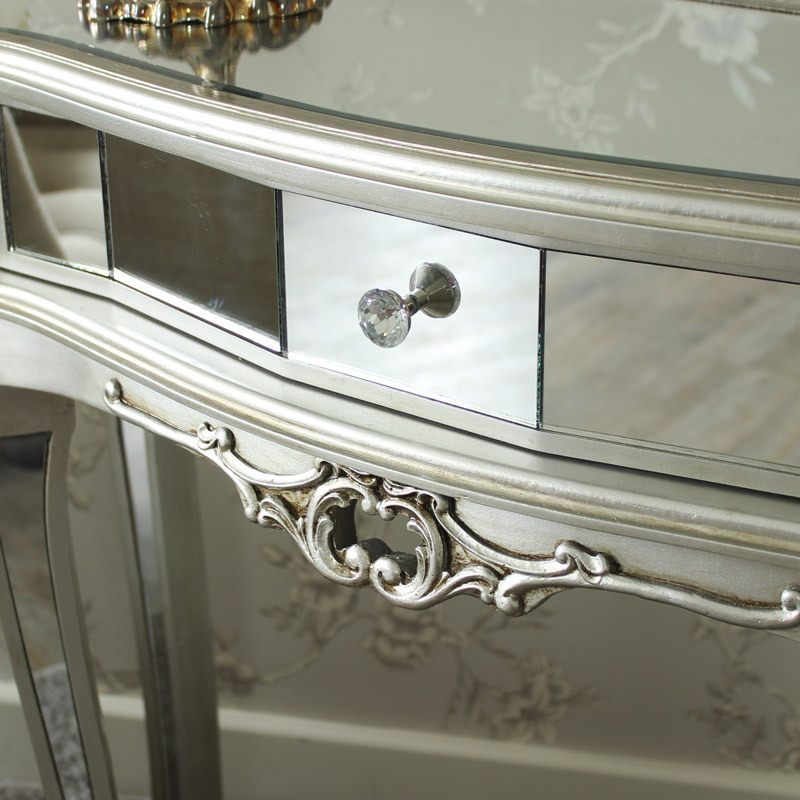 Visually stunning mirrored design that epitomises French elegance. 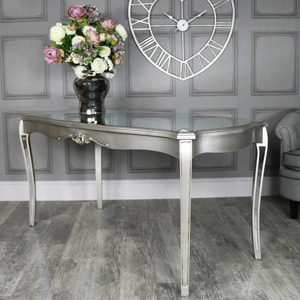 This furniture will add a vintage look to the living room or hallway and fit in with any colour scheme. With bevelled, mirrored surfaces that catch the light and create a sense of space. 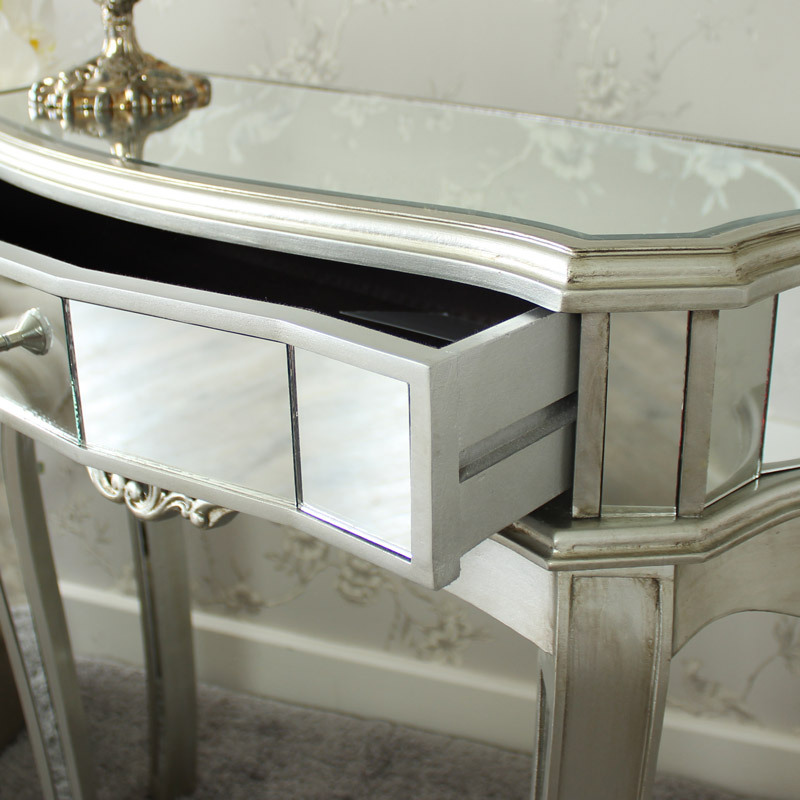 The console tables features one drawer storage with a crystal style knob. 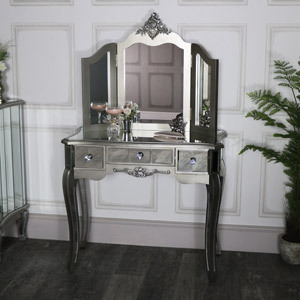 The body is painted in a silver with an antiqued appearance and ornate carved detailing on the front. 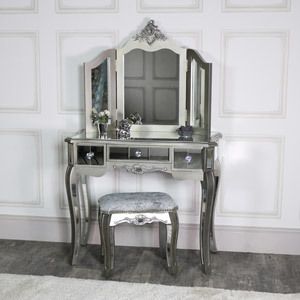 Place in the living room or hallway and use as a glamorous telephone or display table. 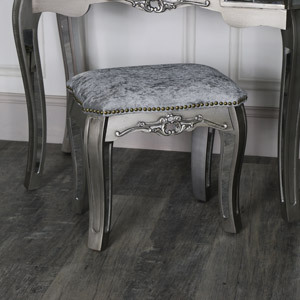 With even more furniture available in our Tiffany Range that will allow you to furnish your home throughout. 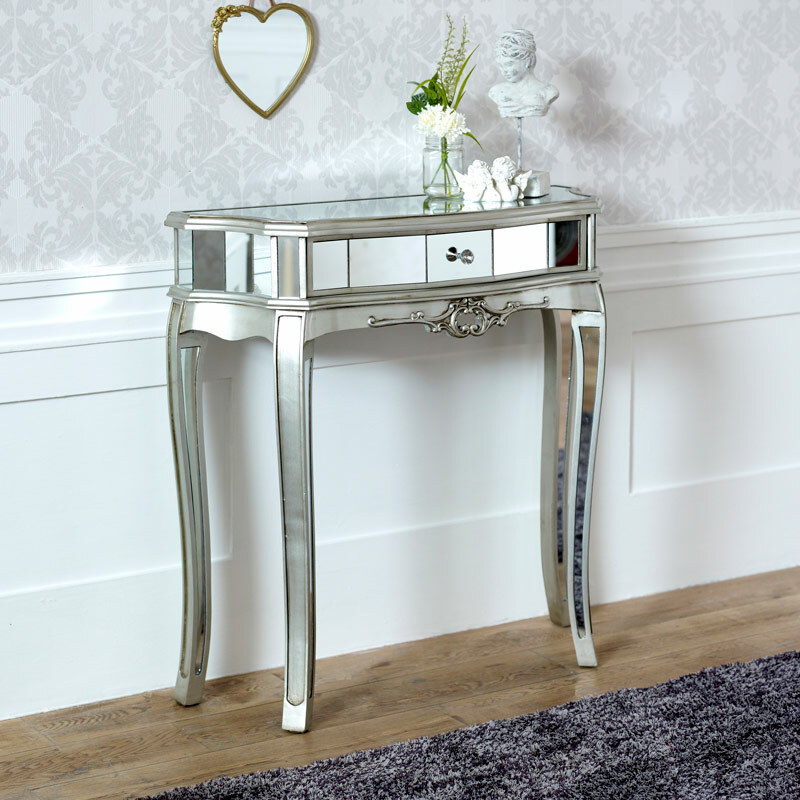 This console table is part of our beautifully ornate Tiffany Range. 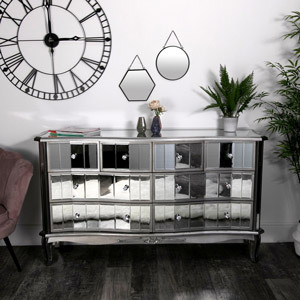 Visually stunning mirrored design that epitomises French elegance. 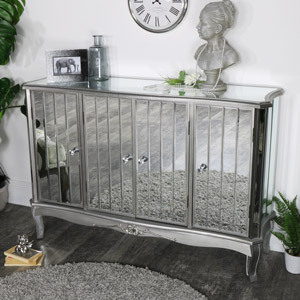 This furniture will add a vintage look to the living room or hallway and fit in with any colour scheme. With bevelled, mirrored surfaces that catch the light and create a sense of space. 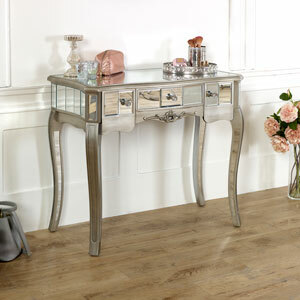 The console tables features one drawer storage with a crystal style knob. 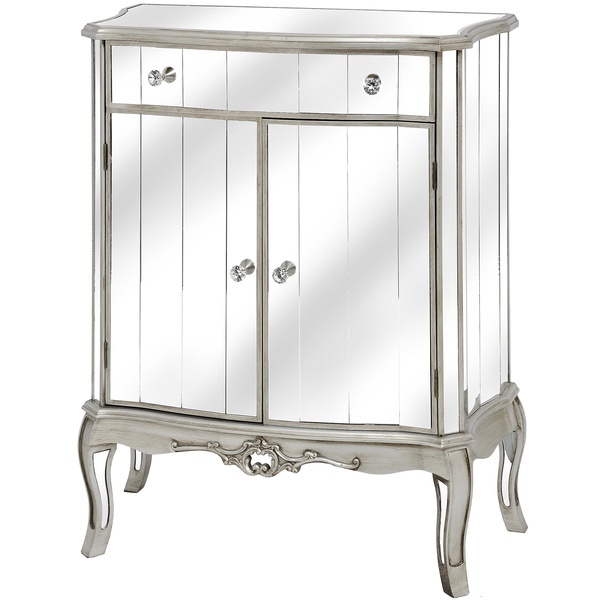 The body is painted in a silver with an antiqued appearance and ornate carved detailing on the front. 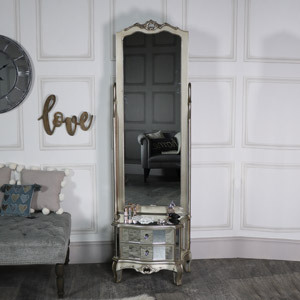 Place in the living room or hallway and use as a glamorous telephone or display table. 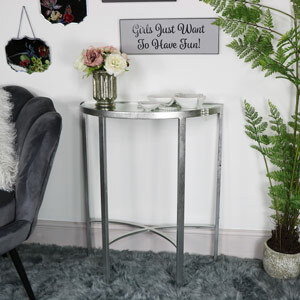 With even more furniture available in our Tiffany Range that will allow you to furnish your home throughout. 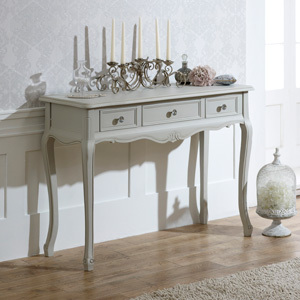 The body of the console table is made from wood and painted in an antiqued silver finish. 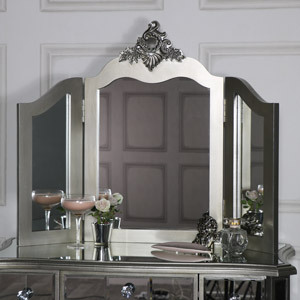 Mirrored panels with bevelling decorate the top, front, side and legs. The table comes partially assembled with just the legs to attach which is quick and easy to do.